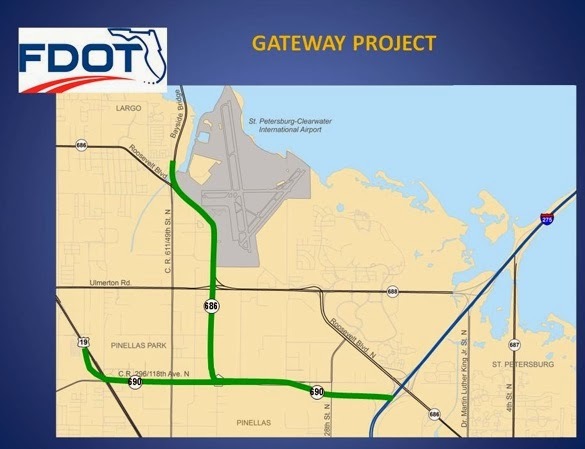 This project will create an express link connecting I-275 to the St. Petersburg-Clearwater airport and US 19 via an elevated and street level toll road. It will be paid for with existing funds, requiring no new revenues. We like user-pays. New toll roads providing additional capacity allows users the freedom to decide whether they want to use the toll road or not. It's a win-win. As those who want to pay the toll take the express lanes, it helps relieve congestion on the existing non-tolled lanes for those who do not want to pay the toll. Now that is true freedom of choice. The elevated roadway linking I-275 and U.S. 19 will run over 118th Avenue and then north to the airport. Once completed, the expressway could potentially shave 9 to 13 minutes off commuters' rush-hour drives. Will this project compete with the Greenlight Pinellas proposal? 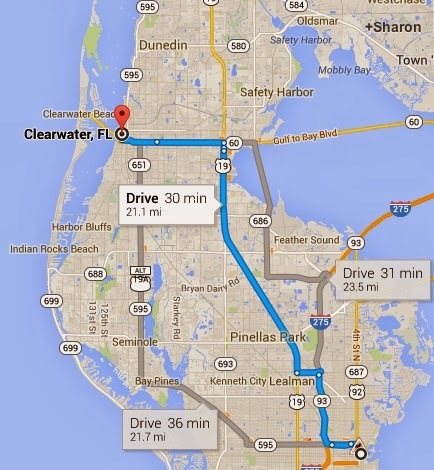 Google maps reflect the normal (non-peak) commute time between downtown St. Petersburg and downtown Clearwater is about a half hour. 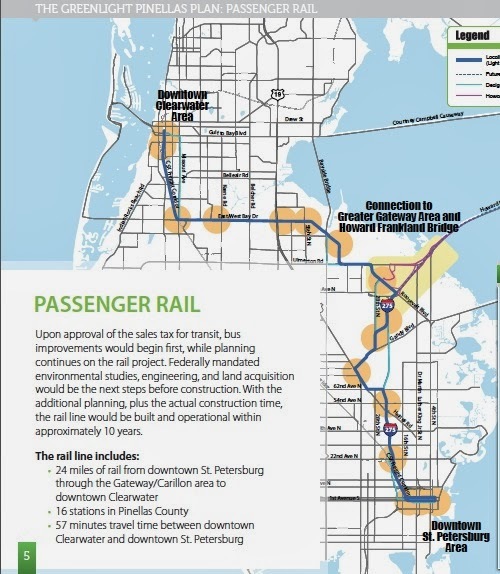 According to the Greenlight Pinellas plan, the 24 mile light rail system from downtown St. Petersburg through the Gateway area to downtown Clearwater with 16 stops will take almost an HOUR. This is the rationale behind Greenlight, which is meant to complement the road system, not compete with it. People will still have the option to commute alone in their cars. But for others, there will be choices. Greenlight Pinellas plan does not have anything to do with roads. There is nothing in the Greenlight Pinellas plan that states the plan is complementary to roads. Greenlight Pinellas is only about transit, land use and transit-oriented development. The only reference to roads is the Park and Ride, which indicates, you still need a car. Reality is the Gateway Express toll road project provides the "real" power and freedom of choice. If you decide to use the toll road, you pay the toll. Greenlight Pinellas forces you to pay higher taxes into perpetuity whether you ever benefit from or use the train. In addition, with Gateway Express, you will be able to drive in half the time or less the same distance that the $2.5 BILLION train will take. Who is going to take the train? Why pay for it? 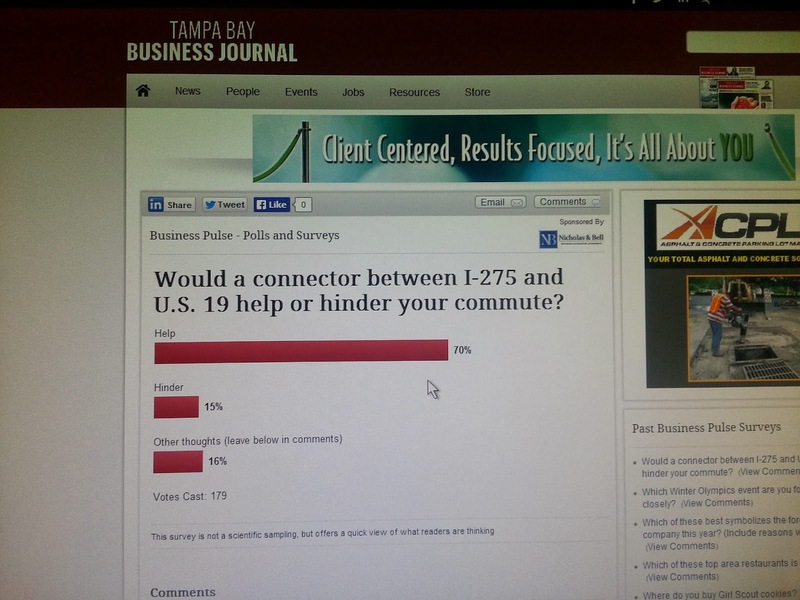 The Greenlight Pinellas plan is not only a boondoggle, it now looks more like a fiscal cliff.